Midwestern Gothic, Issue 19, Fall 2015. 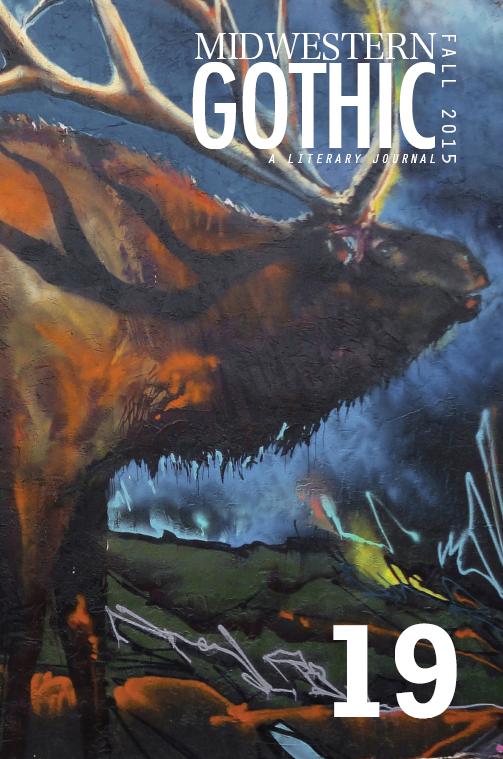 Midwestern Gothic is a quarterly print literary journal (As of 2017 they publish semiannually) out of Ann Arbor, Michigan, dedicated to featuring work about or inspired by the Midwest, by writers who live or have lived there. This is their second issue devoted entirely to creative nonfiction issues.